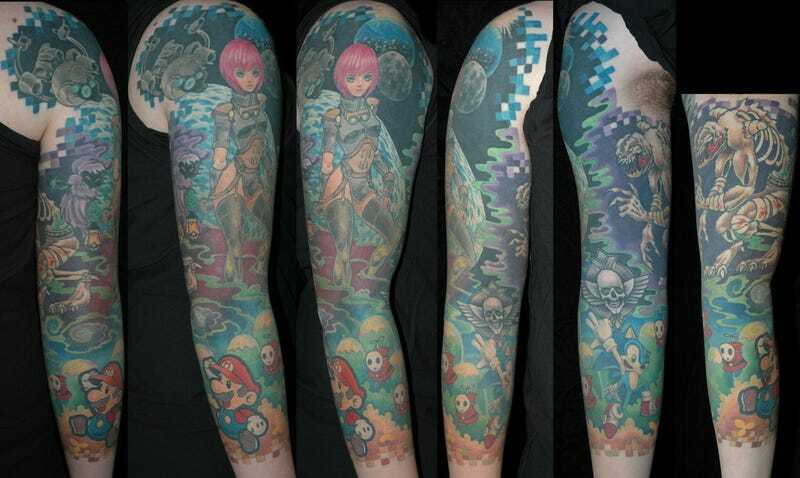 Earlier this week I posted a video of a mind-blowing gaming sleeve that a tipster sent us, saying it was the best gaming tattoo I had ever seen. Reader Adam disagreed: "I'm sorry to say but I think mine is more awesome. You can compare the tattoos yourself."